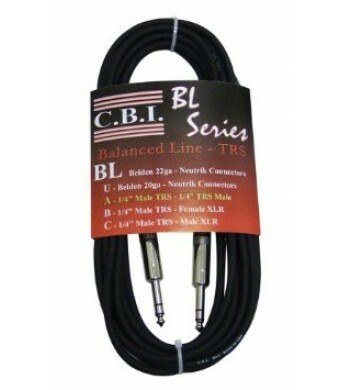 The CBI BL2A cables feature flexible shielding and 24 gage balanced wire for crystal clear sound quality. Perfect for when you need that balanced TRS connection on the stage or in the studio. CBI features unsurpassed delivery, flexibility, and quality for the Recording Studio, Live Audio, and Sound Installation Wiring markets. CBI products include many top of the line components, such as Belden cable, Switchcraft, G&H, and Neutrik connectors. 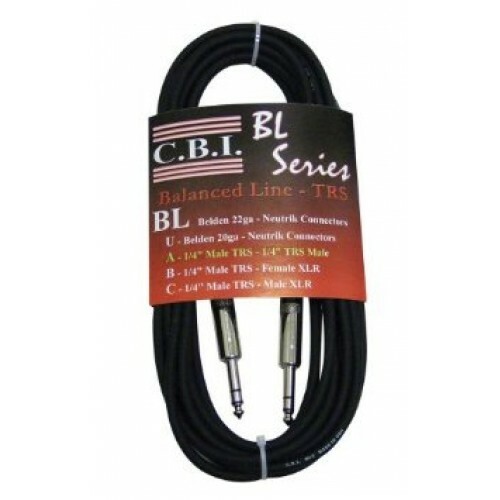 CBI's product lines encompass a wide range of professional wiring systems for musical instruments, sound reinforcement, sound installation, audio/video, recording & broadcast, as well as bulk wires, connectors, adapters, and custom designs. In addition to being a well-established and respected force in the retail music industry with over 20 years of experience, CBI has been a pioneer in the field of designer cables and is unparalleled in the custom cable market.